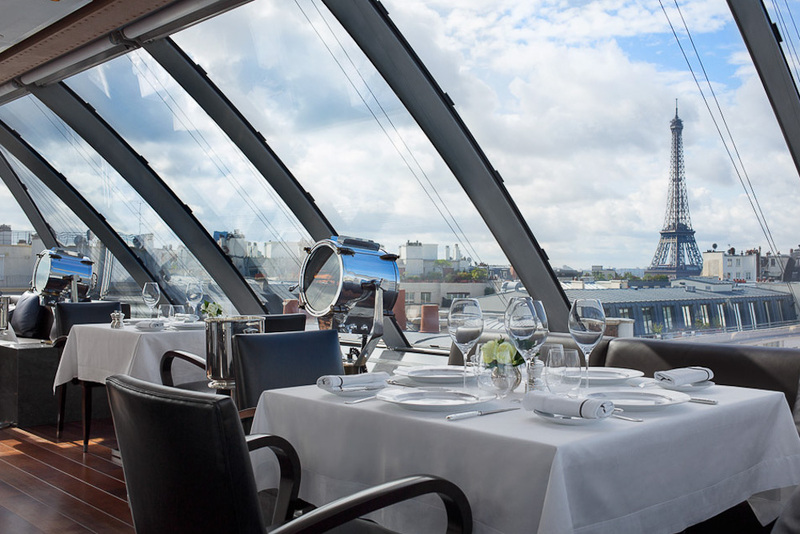 L’Oiseau Blanc for a meal with the best view in the Paris. Even the most resilient of marriages needs some rekindling… Ask almost any wife – well, Quentin Long’s on this occasion – and the best place to rekindle is unquestionably Paris. Here Quentin shares his romance rekindling secrets after a recent City of Light sojourn – sans kids. Let’s be honest, being married with young children is an exquisite form of hampster-wheel drudgery. A Sydney-sized mortgage leads to two stressful jobs that don’t necessarily fit between nine and five. Meanwhile, the kids need to be nurtured; healthy meals three times a day, dropped off to training, picked up from school, and when the weekend arrives, with an endless string of birthday parties and sporting commitments, the priority is quality family-time not ‘just the two of us’ time. After a recent trip to the City of Light with just my wife, here are my 9 secrets to rekindling romance in Paris. You need someone who is going to allay any anxiety you could possibly have about the kids while you’re away, so a trusted granny (or equivalent) is a must. For the best outcome for both granny and the kids, get her to move in while the kids are at school. This gives granny a break during the day and normalises the situation for the kids. Find the best, most exquisite hotel you can afford and book it for as long as you can possibly afford. I chose the Peninsula Paris. An enormous room with a bath bigger than many plunge pools was just what the situation required. A long post-long-haul soak and several post-meal soaks are just what the love doctor ordered for serious rejuvenation of body and soul-mate. The elegant lobby, cosy Le Bar Kleber and sensational breakfast at the Le Lobby restaurant (the house brioche with raspberries is a food experience for life) melts away any drudgery and the fantasy of reclaiming your life takes over. The rooftop bar has the most incredible view of the Eiffel Tower and a sunset champagne is a mood-setter like no other. 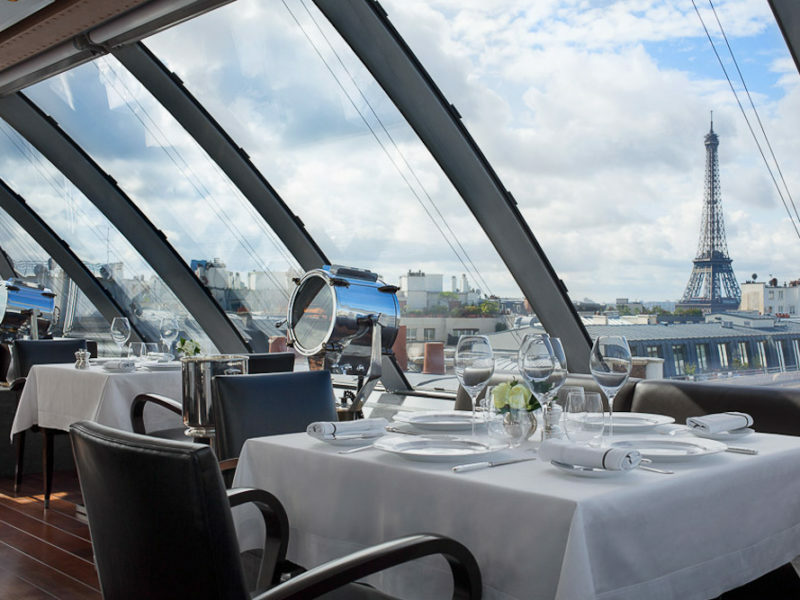 Stroll the 20 metres from the bar to L’Oiseau Blanc for a meal with the best view in the Paris. Focus on enjoying the luxury of just being able to walk along a street without worrying which one of your children is most likely to jump out in front of which car. Revel in the simple pleasure of walking without having a child hanging off your leg asking to buy a new toy. There is no birthday party to get to, meeting to prep for, report to read or email to send. Paris is a great walking city to roam around so just walk free from all these constraints. Don’t fool yourself – you will not possibly see all of Paris. Merely focus on one area every two days and enjoy the pleasure of getting to know the ‘hood – or arrondissement, to be truly accurate. The Marais is perhaps the perfect rekindling area of Paris. Its narrow medieval alleyways are filled with shops and bistros. The Marais quarter, great for aimless strolling and open on Sundays, unlike much of Paris. Even better, when the rest of Paris closes down on Sundays (yes, it really does), the Marais, thanks to its Jewish heritage and being closed on Fridays, is open. Make a point of taking in the great Place des Vosges for an afternoon resting on the grass watching Parisians go by. A sunset by or on the Seine soothes the most exhausted of souls. An hour marvelling at magnificent Haussmann architecture, with its grand proportions and flamboyant finishes, is an antidote to the most exhausted and weary of bodies. Paris’s river Seine “soothes the most exhausted of souls”. The major intuitions; Louvre, Musee D’Orsay and Pompidou are worthy showstoppers but it is the smaller institutions that suit a rekindling effort as they are less frenetic and overwhelming. There are so many to choose but the Picasso Museum is the perfect fit for the occasion. A two-hour experience of the collection is intellectually interesting but not overwhelming. Make a point of booking online and don’t turn up at opening time, when it’s most crowded. Early afternoon is best. I know, I know, I know it is a wonderful monument with so much emotion attached to it for many romance seeking people, but it is so clichéd that it is not worth the time and effort. Just spying the Tower on your strolls around the city is enough to conjure the romance. You will find more togetherness moments in the gardens, bistros or shops of Paris than climbing to the top with thousands of others. No, not just because it is fun to try to speak French with the French. And not just because the French are so much more affable when a few bumbled French phrases are attempted. But because it is the language of love and is fun as a couple to laugh at your awful French while secretly enjoying its sexiness. To truly rekindle you need to find yourselves and each other you need to totally avoid anything that resembles home life. Just take the time out to spoil yourself on things that you haven’t done for years, such as days with no plans; sophisticated eating and a cheeky wine or two at lunch; shopping for the sheer enjoyment of it all. If you can do that together, you are on the track to remembering all the great things about “us”.